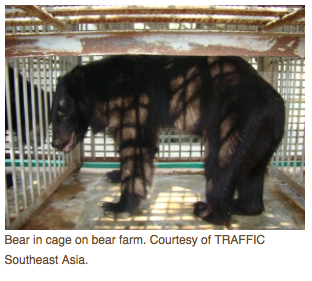 Kaitlyn Foley, senior programme officer at TRAFFIC Southeast Asia, talks about the bear bile trade in Asia. She tells “The WildLife” host Laurel Neme how recent research by TRAFFIC shows that the illegal bear bile trade continues unabated across Asia on a large scale. The poaching and illegal trade of bears is driven largely by the demand for their bile, which is used in traditional medicine and folk remedies. 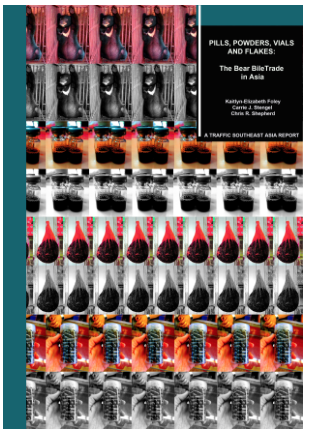 Research by TRAFFIC, published in the report Pills, Powders, Vials & Flakes: The bear bile trade in Asia, found bear bile products on sale in traditional medicine outlets in all but one (Macao) of the 13 countries/territories surveyed, suggesting a complex and robust trade in bear products. Of particular note were mainland China, Hong Kong, Malaysia, Myanmar and Viet Nam, where bear bile products were most frequently observed. While bile from bear farms in China is legal if sold domestically, TRAFFIC found this Chinese bear bile being illegal sold across the border. It also noted that “Mom & Pop” bear farms were popping up in Laos and Myanmar, making these countries new potential hubs for this trade.